Prepare your wallet, as another exciting K Beauty collaboration is about to come our way! 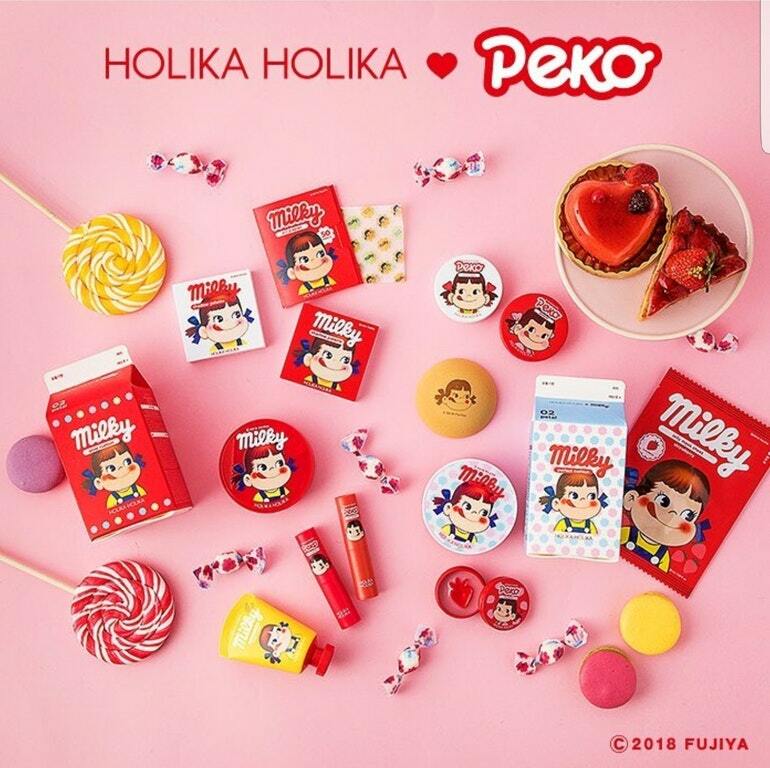 Korean cosmetics brand Holika Holika, known for its ‘fun and practical’ makeup and skincare products, is joining hands with Japanese confectionery brand Fujiya Co. to launch the Holika Holika x Peko collection. 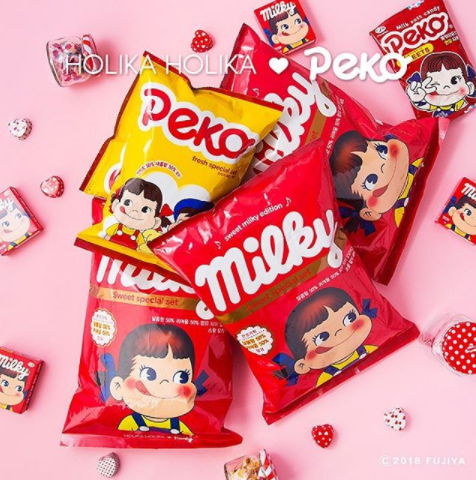 Peko-chan, the lip-licking girl with pigtails is one of the most recognizable characters in Japanese pop culture, as the poster girl of Milky – Japan’s iconic chocolate bars with milky cream filling. Dropping on 3rd May in Korea, the super kawaii collection includes a Glow Cushion, two sets of eyeshadow palettes, five shades of Tint Bombs, two shades of Jelly Blushers, three variants of hand creams, and a Bun Puff which resembles an actual cream puff. You can get your hands of these adorable makeups by ordering from Holika Holika webstore or their official Gmarket store. We will take care of the shipping from our Korea warehouse straight to your door at only $3/lb. Sign up now!